Staff Augmentation is the process of outsourcing work to fill specific needs in a project or business. This strategy is often used as a way to fill what is missing in the work place. Managers and business owners will evaluate existing staff to determine which additional skills are required. This helps to improve unified communication and collaboration. Staff Augmentation is a rapidly growing market in the IT industry. There are many benefits to taking this route, and we have listed most of them below. If you are a business owner interested in learning more about how you can use staff augmentation to supplement your current technology workforce, see our top advantages below. Many people wrongfully conflate staff augmentation and project outsourcing. However, these are two separate solutions for providing outside help with IT projects. Staff augmentation allows companies to add staff to a team in the skill areas that are lacking for a particular initiative. Project outsourcing, on the other hand, allows companies to complete projects from start to finish using another company’s resources. 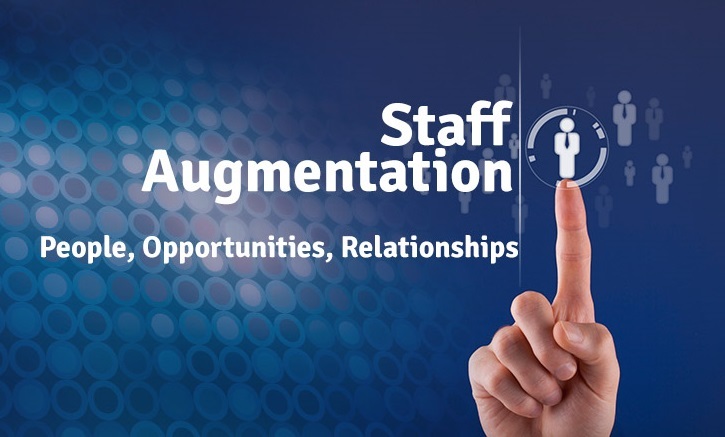 Make sure you are aware of these differences when considering staff augmentation. The first major benefit of staff augmentation is the ability for companies to reduce their overhead costs, unlike data as a service. Rather than hiring several new employees to fill certain skill needs within your tech company or project team, staff augmentation allows you to supplement your needs with temporary specialists. You can save costs on salary and benefits as well as the hiring and on-boarding process. If you need to get a specific task or project done that requires special skills, consider utilizing a staff augmentation strategy. Another selling point of staff augmentation is that it allows you to maintain flexibility. You only need to hire and pay your additional staff for the work they do at the time. Their short term contracts, if they have one, also provides you with the option to hire new specialists with different or better skills when necessary. This way, you are not tied down to hiring a single employee. Staff augmentation is especially popular in the IT industry because of its ability to specialize a team. Tech workers can have a variety of skills. From mobile app development to network maintenance to database management, there are thousands of experts out there available for your specific needs. With this strategy, you can build the perfect skill set from different individuals for any project. Another reason staff augmentation is so popular is because it allows you to supplement the resources you already have. Augmenting your staff means that they are freed to take on other business initiatives. Their current skills can be used where you need them most, while a temporary staff member takes care of the tedious day-to-day necessities. Bringing in a third-party for your projects can provide you and your team with insights that you may not have found otherwise. Especially when you hire a highly specialized, skilled expert, they can bring new information to the table that you had not considered. Hiring a recruitment company to bring a temporary specially skilled employee gives you multiple neutral views regarding your business operations. Their view on your business, project or process as an outsider can draw attention to new ideas and problems. Lastly, staff augmentation poses less risk for companies than outsourcing. This is partially because staff augmentation relies more heavily on management from your company. These temporary employees will be guided by your IT department, while outsourcing often leads to less control of the process. Staff augmentation is a great option for many different HR recruitment departments to consider. IT is one such field that could definitely benefit from the option to work with skilled professionals on specific projects or tasks. Utilizing a staff augmentation strategy in the technology industry provides more control, less risk and a guarantee that you are only paying for the skills you really need.